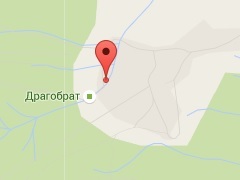 "Kazka Karpat" hotel is located in Dragobrat resort in Zakarpattia oblast. 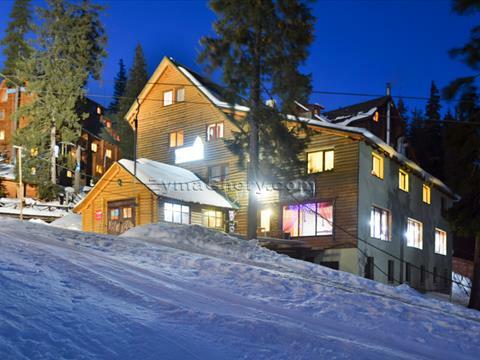 This hotel is located in 300 meters from the ski chair lift and is nearby the rope tow. It is 1200 meters above the sea level. "Kazka Karpat" hotel is a four-storey building with 2-, 3-, 4-bed rooms with all conveniences. On the ground floor there is a dining room. It is served two meals a day for the guests of the hotel. There is a ski equipment rental and dry place for storage as well. Cold and hot water is 24 hours. Hot water is delivered from the boiler. • bathroom (toilet, wash basin, shower). It is served two meals a day in the dining room on the ground floor of the hotel. Dishes are of the Ukrainian cuisine. Price per accommodation in private house «Kazka Karpat» in Drahobrat are set by agreement. • the use of an iron. • transfer from Yasinia village. Children up to 6 years stay free of charge (without separate seat). Children under 5 are free of charge (without extra bed). We invite to stay in "Kazka Karpat" hotel! Standard Triple room, double and single beds or single beds, TV set, necessary furniture, bathroom. Standard Double room, double or single beds, TV set, necessary furniture, bathroom. Standard Quadruple room, double and single beds or only single beds, TV set, necessary furniture, bathroom. Suite Two-room, Quadruple room, double bed, sofa, TV set, necessary furniture, bathroom.